Home / Entertainment News / Kilemba ni wewe! Akorino faithful caught on camera in a club busy grinding a woman(VIDEO). Kilemba ni wewe! 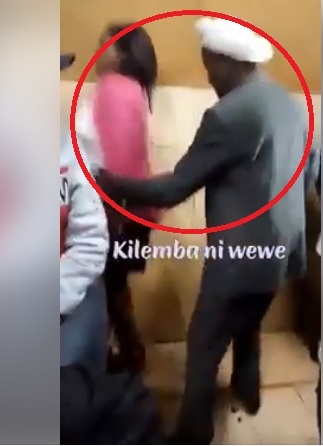 Akorino faithful caught on camera in a club busy grinding a woman(VIDEO). Tuesday, April 16, 2019-This man with a white turban is an Akorino faithful but his white turban which signifies holiness couldn’t stop him from having fun in a club. He was caught on camera grinding hard on a woman. He was behaving like a horny teenager who has discovered grinding for the first time.